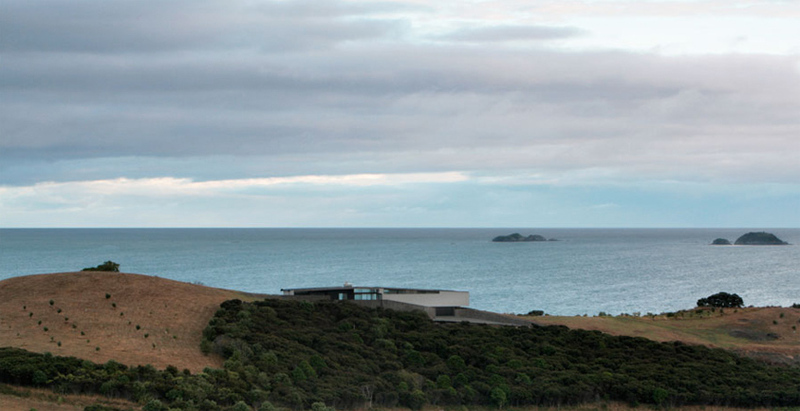 On a remote ridge stretching between the Hauraki Gulf and the breathtaking landscape of Waiheke Island sits the Korora House, Daniel Marshall Architect’s latest project. 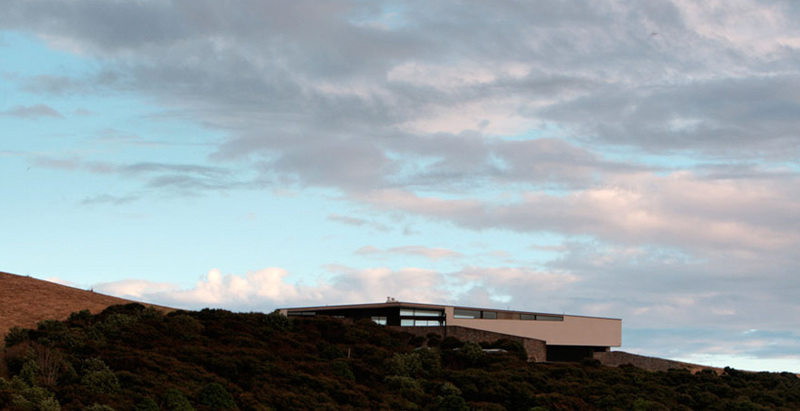 The New Zealand based firms’ driving approach to building the Korora House was to “work within the contour of the ridge, as an attempt to minimize the impact on the landscape.” The team was successful at their approach, co as each element of the house fits tightly within the curves of the rolling hills. 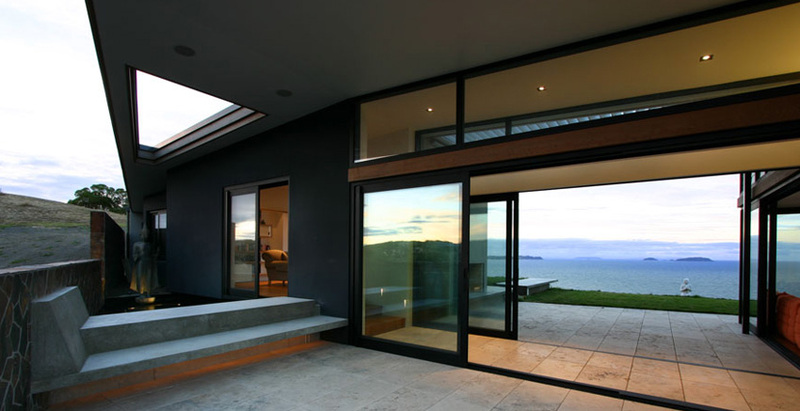 Marshall was extremely methodical when he incorporated local weather conditions into the design of the home. 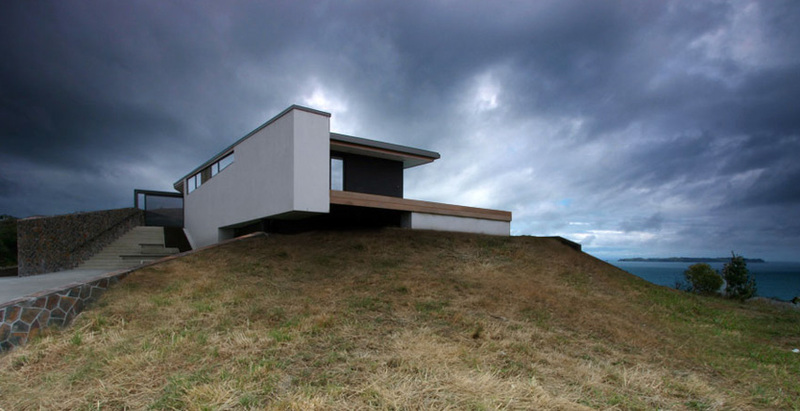 “The plan form of the house is spaced between two courtyards, which are bridged by a gabled roof stretched across the long axis. 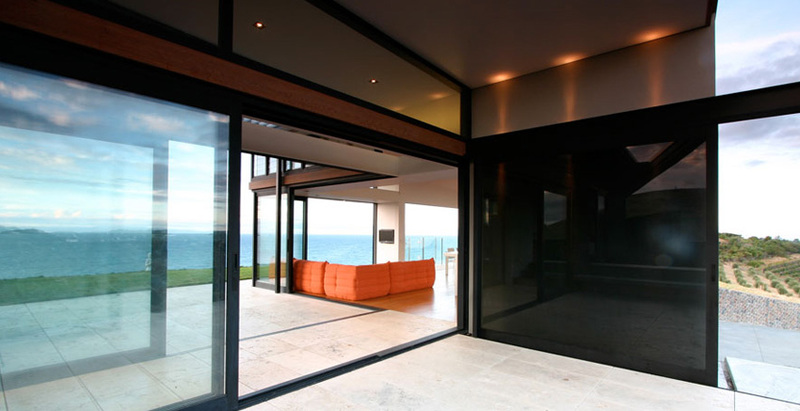 The courtyards provide the opportunity to shelter from either of the two dominant winds.” Korora is built with materials of local interest, Marshall explains that “the materiality of the house draws on two architectural conditions of Waiheke, the masonry forms were inspired by the gun emplacements of Stoney Batter. 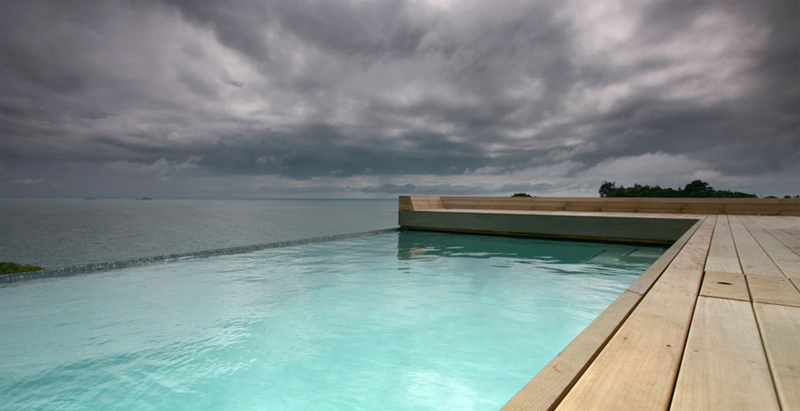 The use of cedar and plywood reflect precarious weekenders of the island’s past. 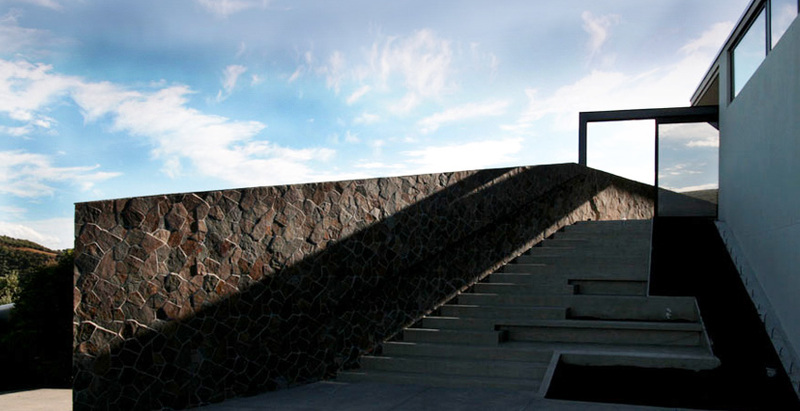 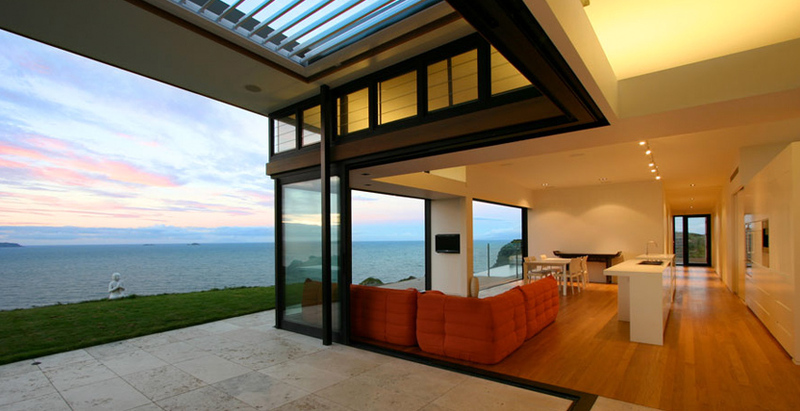 The combination of the home’s materials and it’s intricate built are what make the Korora House absolutely beautiful.